Thanks Bushmechanic. So there isn't too much cause for concern, then. The slipping race is also on my ignition side. When the race is on the crank, I can turn it easy by hand, I was just concerned that it may be too loose on the crank. I am thinking of using the 20mm wide roller on the drive side, with the c/b removed, and crank rebalanced. Or should I just stick to the 16mm NJ206? I intend to remove the c/b regardless. Ah, looking at the bearing now, I understand what you mean by making a support for the lip. 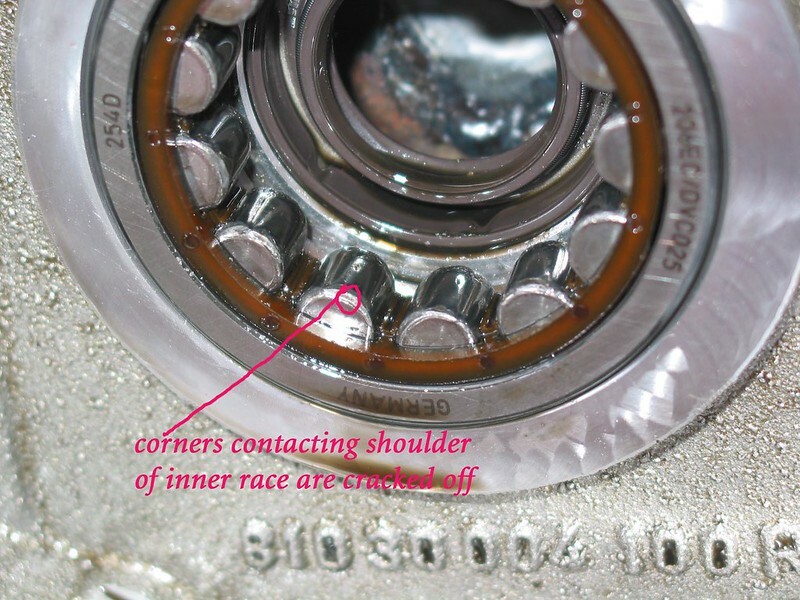 Would you say it would help if I drilled a tiny, say 1mm hole in the inner race for lubrication, so that the slipping inner race wont generate excessive heat and damage the crank? not sure how that would work out .. you'd think it would be better than no hole at all ..
That's what I was afraid of, creating a weak point in the inner race. Hopefully it will be less prone to making seize marks on the crank. I'm thinking the slipping race will generate heat, and any excess heat is bad in my book, so hopefully a lil' bit of lubrication may help. there is nothing wrong with the KTM OEM roller mains. they are a great product and shouldn't be slandered for no GOOD reason. finding fault and splitting hairs over a perfectly good product is unjustified. the original very, very long main bearing thread where this was all sorted took a leap forwards when a member known as 'enginehardwear' explained how he (like me uses the OEM bearing) he races them, he tunes them, as do I.
the problem is in the axial float, if you don't have enough float - the engine will suffer. get enough axial float and they are fine. the problem has always been when engines go wrong, rarely do people say: "it was my fault" and they blame something in the engine. the next rebuild is done better than the last and with another bearing and then a miracle cure is found! stick to the OEM roller main and get the axial float right, check that the crank is 'true' using a vernier and a ruler. us this across the ends of the flywheels. no daylight should appear underneath anywhere. the width of the crank should be the same all the way around at 4 points = top, bottom, left and right. put one on each end of the crank and make a pair of V-blocks or something akin to this. 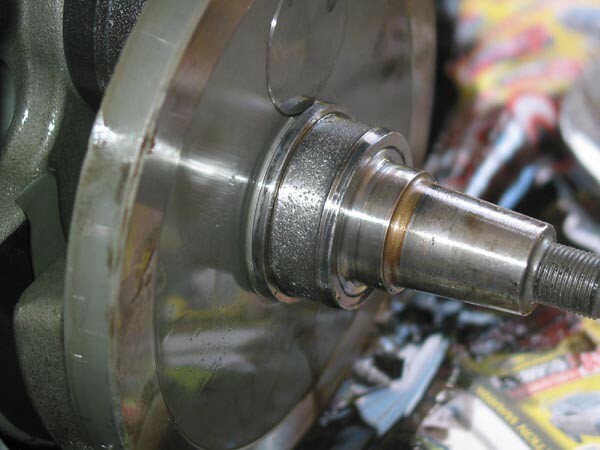 spin the crank and have something static near the crank axial ends to try and spot run out. after over 100 engine rebuilds with original roller mains I have yet to have had a failure. 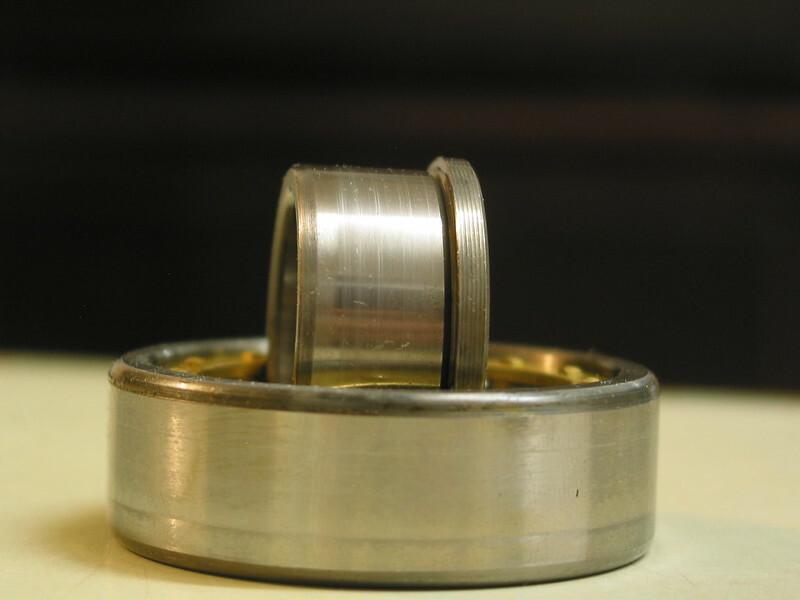 Enginehardwear of Sweden was the same - no failures when using this bearing. you see they were fitted as OEM to some years of KTM 525s ... with no failures but the SKFs in the same bikes with the same setups failed all the time. 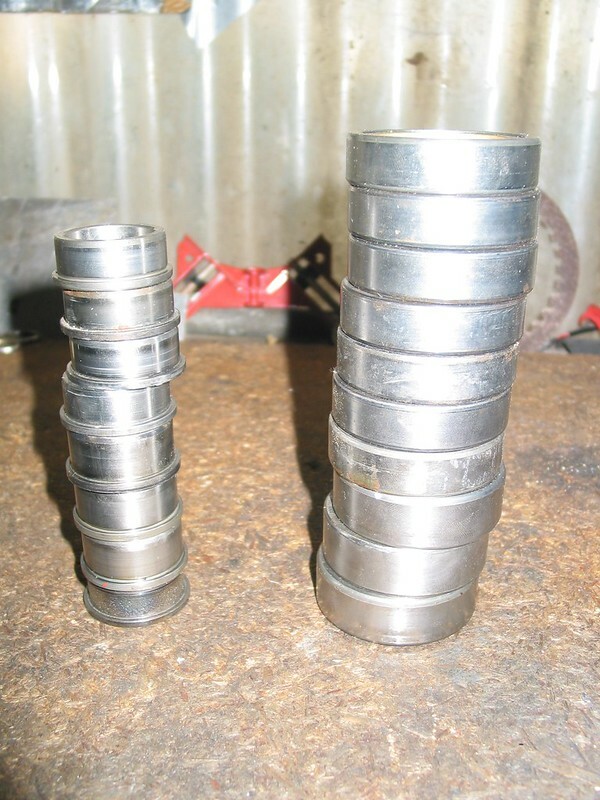 believe it or not there have been thousands of rebuilds done in the US on the RFS engines , tuned raced ... 640cc +, the sample size comparing both types of bearings is much larger than ANY husaberg "specialists" opinion. Last edited by bushmechanic; April 15th, 2014 at 03:14 AM. 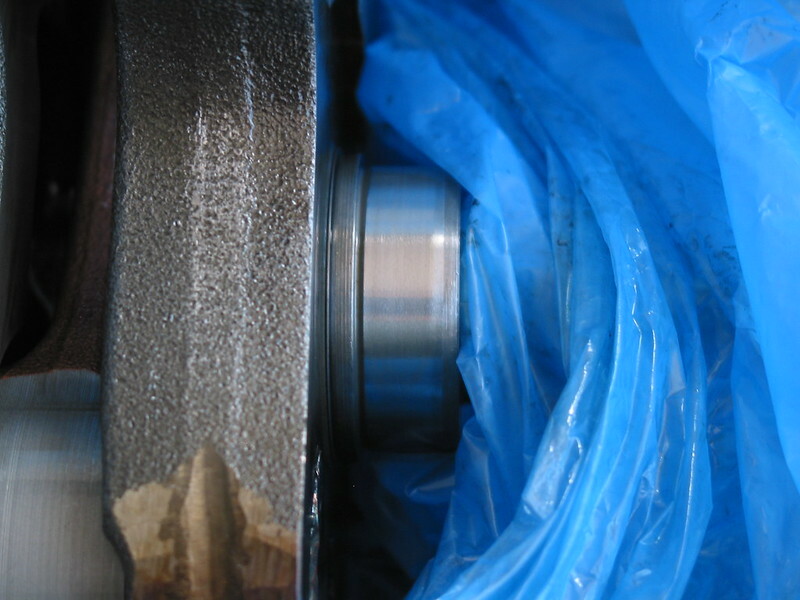 Main bearing radial clearance ok/nok? First post in this forum, I believe! I'm a KTM guy, but I couldn't resist a Husaberg FS650E with broken valve spring for a bargin, so I've joined the club of yours now! However, got the bike running with new parts, but without opening the cases. I felt some radial play in the flywheel bearing, but just that you could feel it. 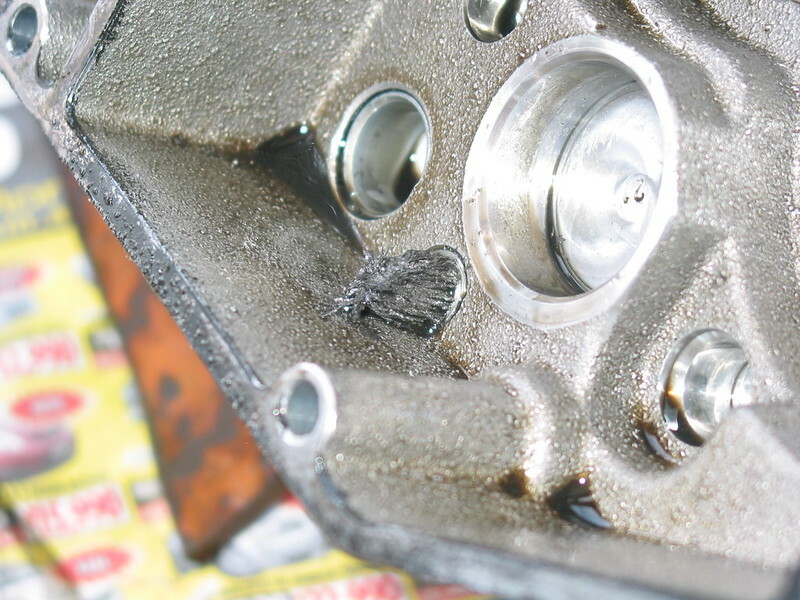 Engine has been running for 2 hours now, I got the famous leak from the weep hole and engine doesn't sound healthy at all now, as it did when I first started it. My question is; is it ok with ANY radial clearance in the main bearings or is that enough sign to consider them being lost and causing exessive noise? 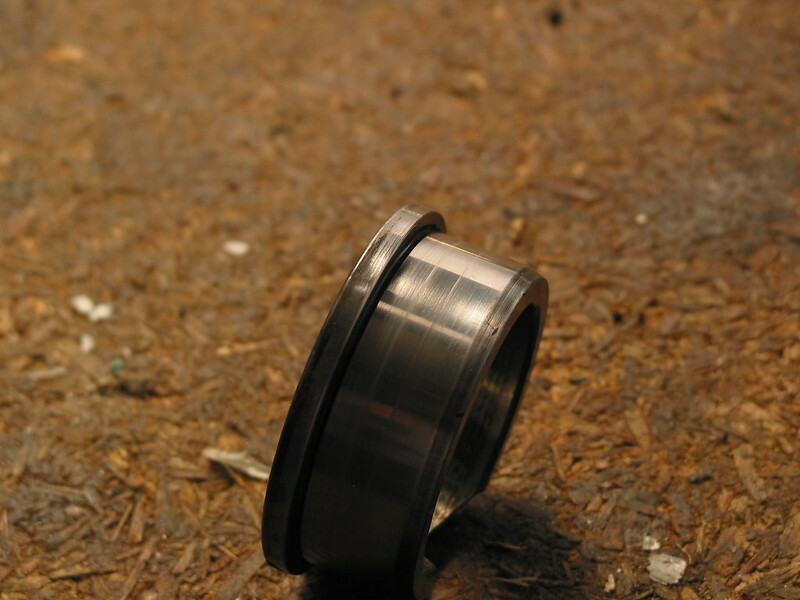 it is unlikely to be more than 0.07mm with the stock bearings, it is possible if someone used C4 bearings (very good idea) but if it were more than 0.1mm you should probably open it up and have a look. none have failed and all are good enough but it is clear to me which one is handling the situation with the least stress. 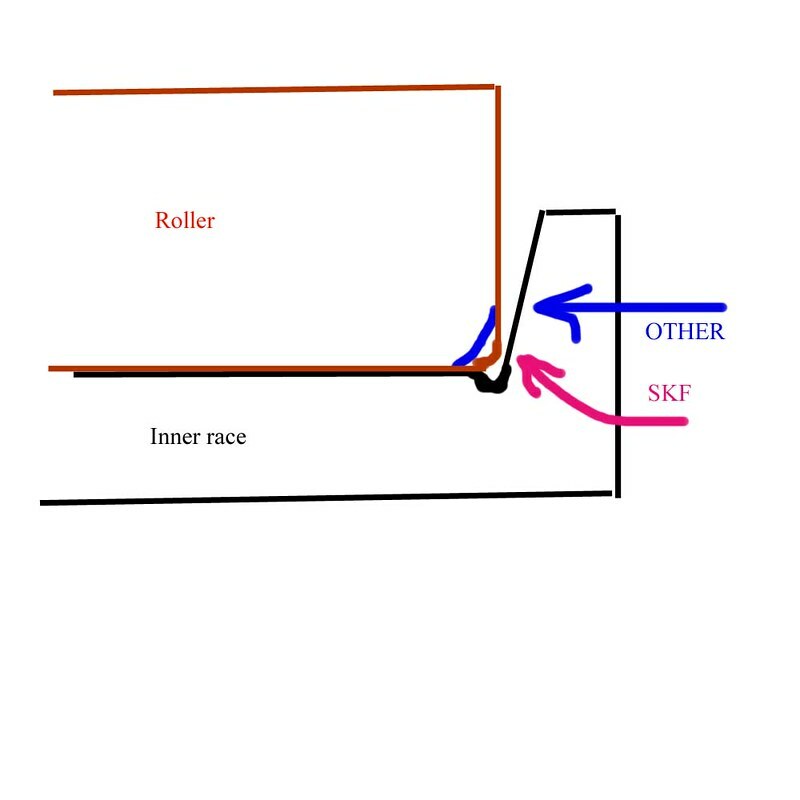 the surface speed at the contact point of the SKF roller with the inner race lip is higher than the other bearings because of its sharper roller radius, the axial load is also more concentrated. Last edited by bushmechanic; April 17th, 2014 at 08:36 PM.